When you get down to it, April 1 is a pretty foolish holiday, especially when irksome pranks get taken one unappetizing step too far. You’ve probably heard about FreshDirect launching meteorite salts, or GrubHub launching delivery-scented ride sharing – it’s all lies in honor of April Fools Day. 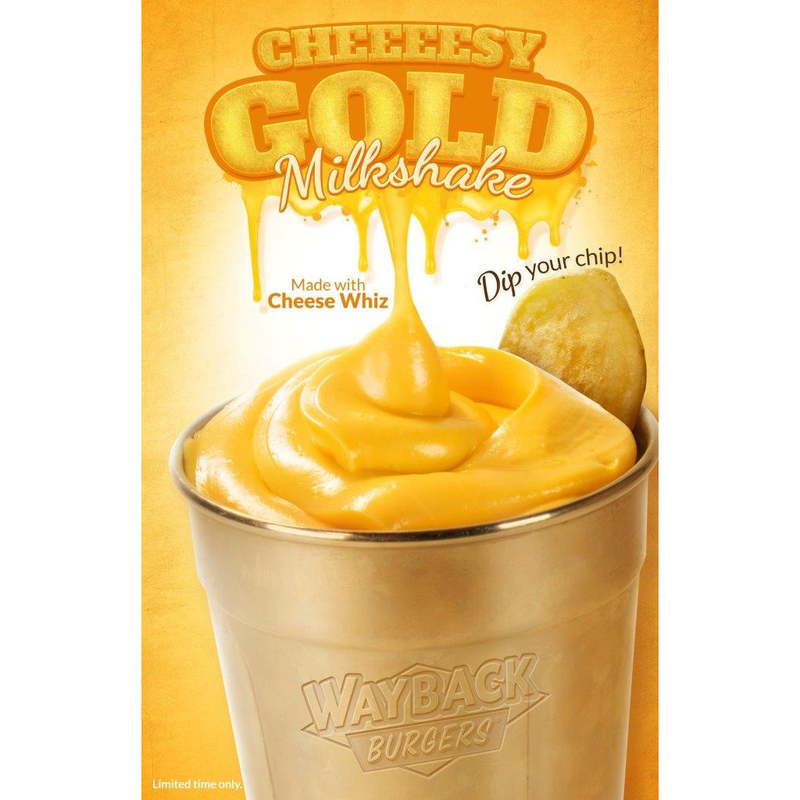 Many restaurants and food chains are joining in on the fun, including the Wayback Burgers chain, who, earlier today, claimed to be launching a Cheese Whiz milkshake, a blend of fresh milk, premium vanilla bean ice cream, and, of course, liquid cheese. Well, it’s definitely high protein, right? However, joke may be on us: What started out as April Fool’s prank is now starting to feel a nauseatingly real. Selected locations will be serving the lactose-bomb today only for those souls brave enough to give it a try. And for those dying to try it right away, participating locations are giving away a free 12 oz. taste of the cheesy concoction all day today. Participating locations include Wayback Burgers in Los Angeles, CA; Coconut Creek and Lithia, FL; Kingston, Saugus and Worcester, MA; Rochester Hills, MI; East Northport, East Meadow and Canarsie, NY, along with locations in the Hartford, CT area and Philadelphia, PA area (including its Delaware locations and Voorhees, NJ location). Do you dare?